At Sotheby’s Magnificent Jewels and Jadeite sale in Hong Kong last week, an unmounted, 88.22-carat oval white diamond fetched a price of HK$108 million. Now, while that amount seems stratospheric, it’s nowhere near the record-busting prices achieved by the world’s most valuable jewels. These are the 10 gemstones—all of them diamonds, as a matter of fact—that deserve their own heist movie. Here’s why. Joseph Lau is not your typical doting father. Aside from being one of the richest men in Hong Kong, Lau’s claims to fame include being a convicted felon, a wanted man in Macau, and buying record-breaking diamonds for his children. His then-seven-year-old daughter Josephine was the recipient of this 16.08 ct cushion-shaped Fancy Vivid pink diamond, which he renamed the “Sweet Josephine” after winning the bid. This gem earned its name by being the largest D colour flawless diamond ever to appear at auction, coming in at a whopping 118.28 ct. The rough stone weighed 299 carats. 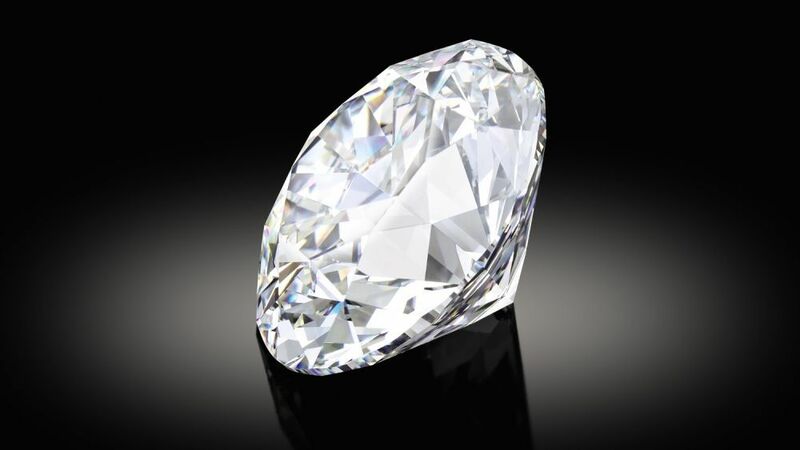 Only four other white diamonds boasting this quality above 100 carats have ever appeared in an auction, and the Magnificent Oval marks the first in Asia. It took De Beers and The Steinmetz Group decades to find 11 blue diamonds magnificent enough to accompany the 203.04 ct Millennium Star for the 2000 exhibition held at London’s Millennium Dome. This 10.10 ct diamond, inscribed with “De Beers Millennium Jewel 4”, was one of them. It was the most expensive diamond ever sold in Hong Kong before it was upstaged by the Pink Star in 2017. American philanthropist Bunny Mellon’s eye for beauty extended past the splendid gardens she designed; she had mighty fine taste in jewels as well. Her 9.75 ct Fancy Vivid blue diamond sold for double its estimate at the two-day “Property from the Collection of Mrs Paul Mellon: Jewels & Objects of Vertu” auction. The top lot went to a private Hong Kong collector who named it “The Zoe Diamond”. At US$2.4 million per carat, The Orange set a world record price per carat for any diamond at auction. The 14.82 ct Fancy Vivid orange diamond is also the largest of its kind ever to go under the hammer, and was once part of the collection of Simon Itturi Patino, who is often referred to as “The Andean Rockefeller”. It fell a little short of its US$45 million estimate, but the Princie Diamond is still a stunner. The 34.65 ct Fancy Intense pink diamond is one the biggest of its kind, and originated from the ancient diamond mines of Golconda, India. The jewel was once the property of the royal family who ruled over the Hyderabad State, one of the wealthiest provinces of the Mughal Empire. The luckiest seven-year-old in the world received a second record-shattering jewel from billionaire father Joseph Lau just one day after he laid claim to the Sweet Josephine from rival auction house Christie’s. The 12.03 ct blue diamond is, expectedly, of Fancy Vivid grade. It took six months to cut and polish the 29.62 ct rough into its current cushion-shaped form. Harry Winston CEO Nayla Hayek was serious about maintaining the brand’s reputation as the “King of Diamonds” when she took over in 2013, buying up colossal and significant rocks like the Winston Legacy Diamond and Winston Blue. Her latest acquisition is the Pink Legacy (which she of course renamed for her company), an 18.89 ct emerald-cut pink diamond once owned by the Oppenheimers, the family that once controlled the De Beers Group. Owning a diamond that previously belonged to an Oppenheimer is like owning a guitar once played by Jimi Hendrix. This stone was named after its former owner, racehorse owner and diamond dealer Sir Philip Oppenheimer, and while the provenance alone is enticing, the emerald-cut diamond is also the largest Fancy Vivid blue diamond ever to be offered for sale. Originally named the Steinmetz Pink, after the firm that purchased and cut the 132.5 ct rough, the Pink Star holds two world records: it is the most expensive gemstone ever sold at auction, and the largest Internally Flawless Fancy Vivid pink diamond ever graded by the Gemological Institute of America (GIA). After being acquired by Hong Kong jeweller Chow Tai Fook, it was renamed the CTF Pink Star in honour of the company chairman’s late father, and to commemorate the brand’s 88th anniversary.